Black silk suture on wooden reel, 25 yds (23 m) in length. 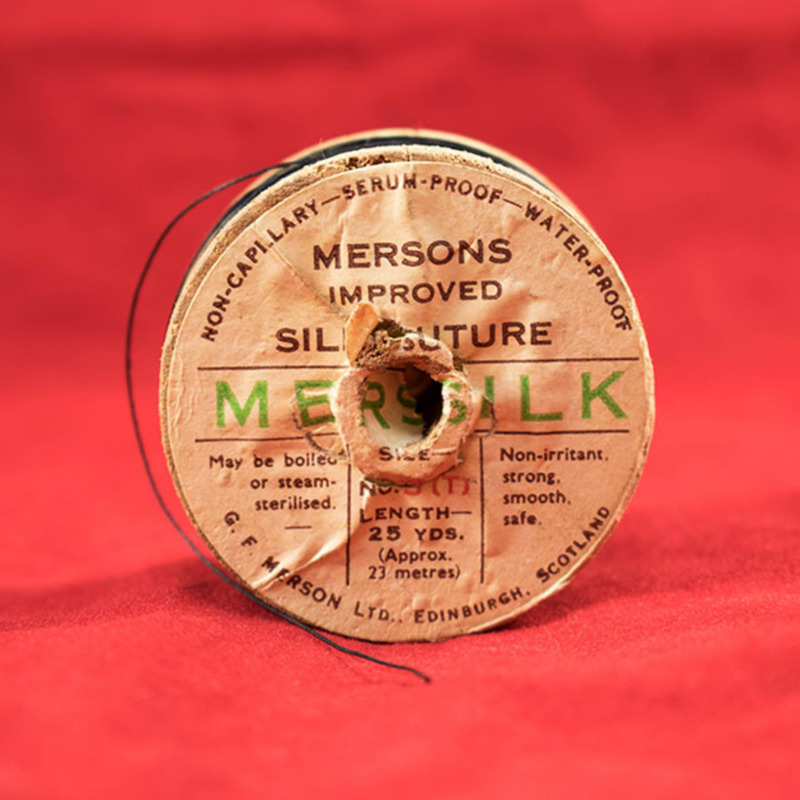 “Silk Suture,” Heritage, accessed April 23, 2019, https://heritage.rcpsg.ac.uk/items/show/709. 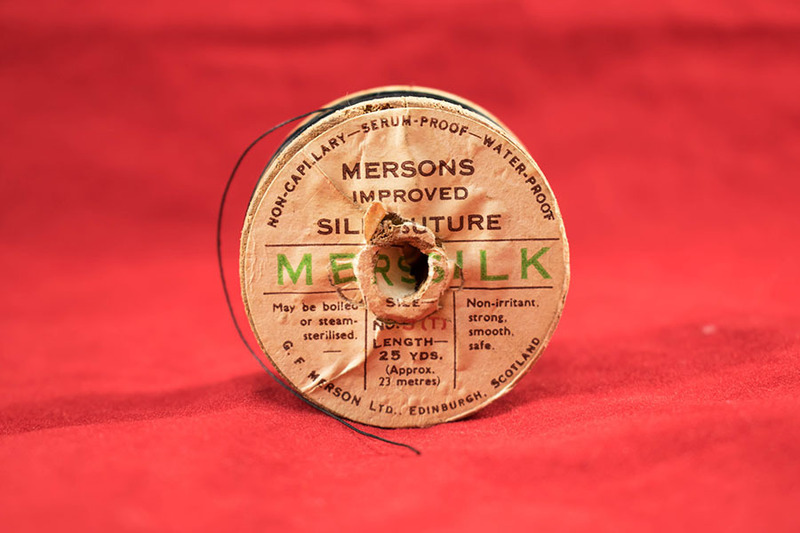 Description: Black silk suture on wooden reel, 25 yds (23 m) in length.